Virus Bulletin, the independent security software testing body, has just published its VB100 Comparative Review on SUSE Linux Enterprise Server and VB100 Comparative Review on Windows 8.1 Pro 64-Bit. In the SUSE Linux Enterprise Server Comparative, Virus Bulletin has tested ESET Endpoint Security for Linux, scoring 100% in both - on demand and on access scanning. The same result was reached by ESET NOD32 Antivirus 9 in the second comparative, with Windows 8.1 acting as the test-bed. “ESET entered both tests with its trademark light system footprint and strong detection, adding two more VB100 awards to its huge collection,” said John Hawes, Chief of Operations at Virus Bulletin. “We are proud of our continued excellence in independent security software tests. From the beginning our aim has been to deliver consistent proactive protection for our customers via our internet security products in both business and consumer sector,” said Palo Luka, Chief Technology Office at ESET. 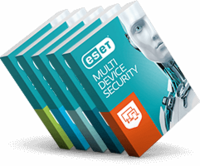 Read more about VB100 Comparatives or learn more about ESET cybersecurity portfolio.